Once again, i’m back with yet another fan-made poster of the cult movie of the 1990’s – Terminator 2! Easily one of THE best movies of Arnold Schwarzenegger and one of THE most influential Sci-Fi movies of all time! 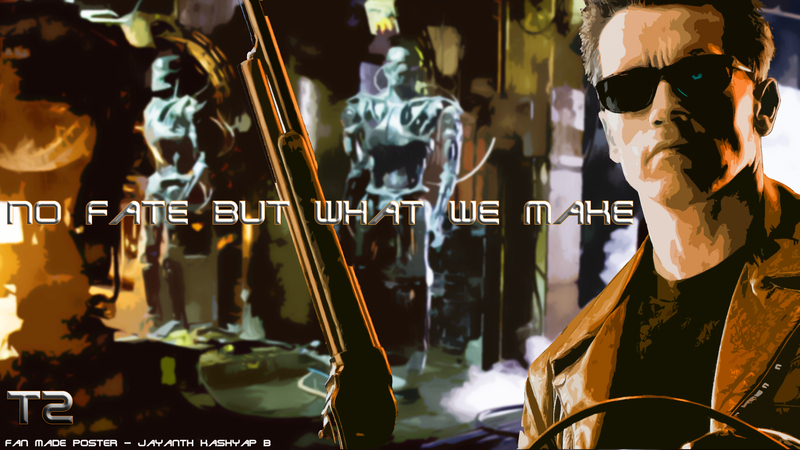 The allegorical tale of John Connor and the T-800 goes on and on and on ! BUT, as always i prefer the dark and deep dialogues than anything else! Particularly when Sarah Connor etches a “saying” on a wooden table with her knife. Epic !! Hope you like the poster!